Real Estate Investment Trusts (REITs) is a normal term in investment world. However, it seems not a very famous investment tools among investors, especially for those who invest through broker firms. It is similar to MBS, but is in equity form. For example, a company would issue the shares to investors to invest in its. Around 90% of the net profit will be contributed back to the investors. As you can see, the risks involved is the vacancy rate as well as the quality of the company management in order to manage the commercial buildings as industrial buildings. Normally REITs are listed in stock exchange. It provides a great liquidity to investors to purchase and sell in a very quick time with limited cost involved. Normally there is rules and regulations to ensure that REITs listed in the stock exchange are in good form from the corporate governance perspective. The tax rate treatment for the dividend generated by REITs normally is lower than the dividend given by the listed company. 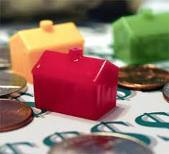 If the transaction of REITs are based on the buyer-seller willingness to make the transaction. The volatility of the REITs price is impacted by the stock market movement. With a good investment strategy in place, we can actually put the part of the money in this asset class while waiting for a better investment opportunity.